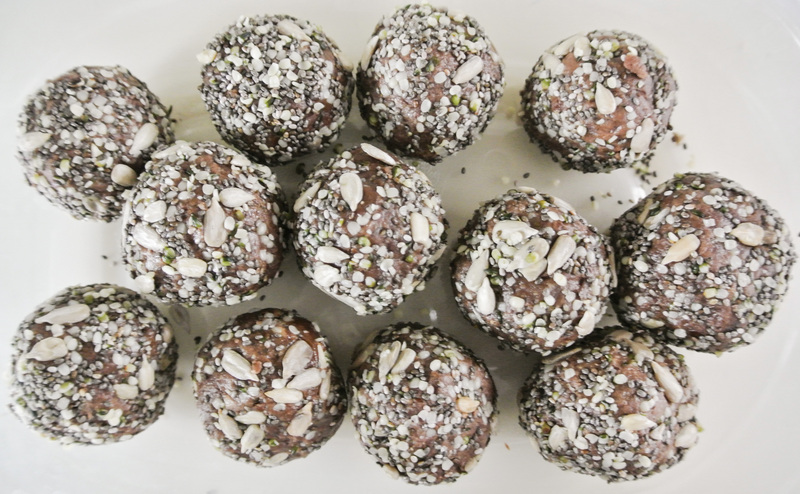 Love my power balls formula? I think you’ll like my power bars even more! 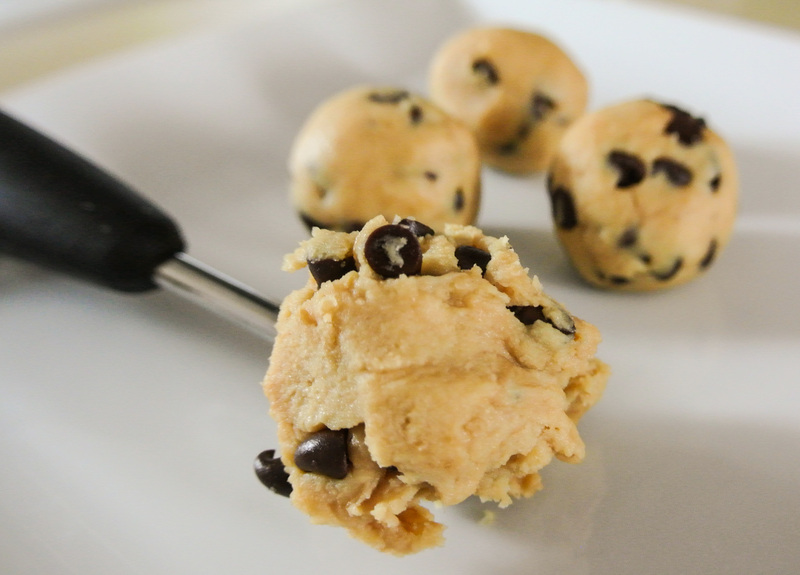 While I believe you could take the power ball dough and spread it into a pan to make bars, I decided to develop a formula that was even more specific to this alternative shape. Additionally, personally, I’m looking for something different in the way of texture in a ball versus a bar. 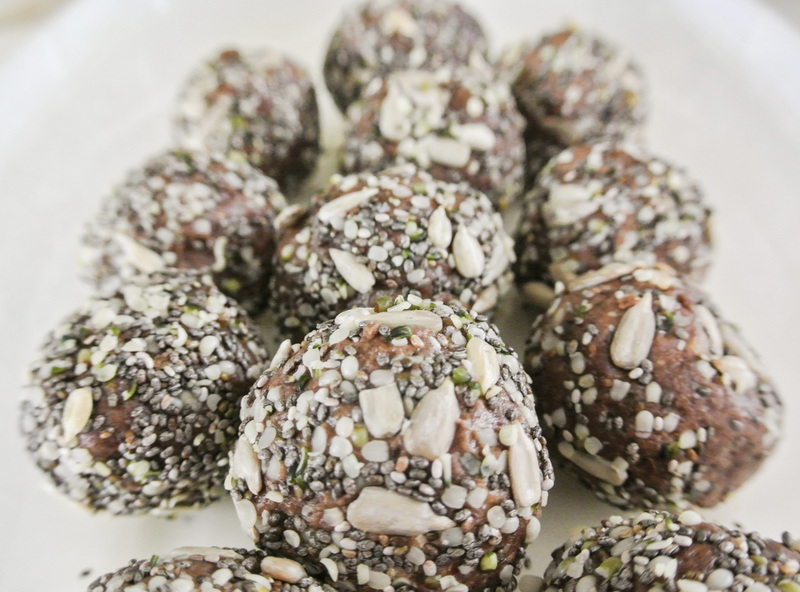 I enjoy the power balls with a softer, creamier center, like a truffle. I think that the bars are best with a crunch. Of course, with Fresh Formulas, there are no prescriptions—just guidelines—so it’s up to you to play around with the flavor and texture combinations that you enjoy best. 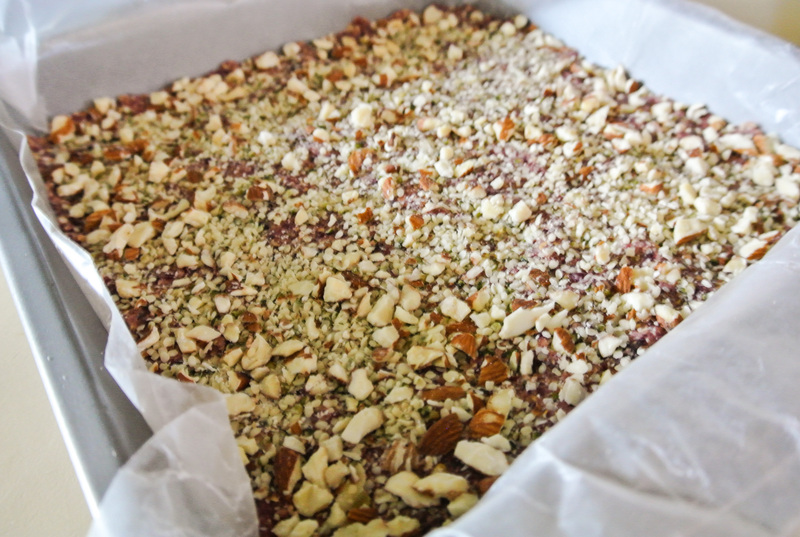 Today’s power bars will combine crunch and more fall flavors: cranberries and pumpkin seeds, to be precise. Surely you’ve heard that the cranberry does wonders for the urinary tract system and it is loaded with antioxidants, plus vitamin C and fiber. Pumpkin seeds are a less well-known super food, often in the shadows of flax, chia, and hemp seeds. These super seeds, however, contain an even higher protein content than the more talked-about seeds and are also packed with fiber, vitamins, and minerals…too many to list even! 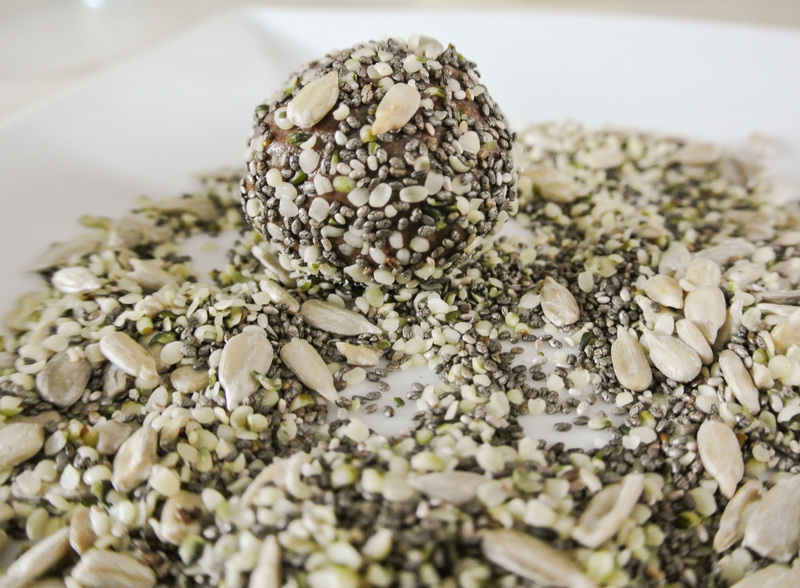 ‘Tis the season to find these amazing little nutrient powerhouses in abundance. After carving our Halloween pumpkins, Travis immediately took to roasting the seeds (which can also be eaten raw). We put them in an airtight container in the pantry and he’s been eating a few here and there. I’ve found that I cannot digest whole (chewed, obviously) pumpkin seeds, so I am trying processing them into a flour to see if I have better luck. They are just too darn good for your not to get creative. 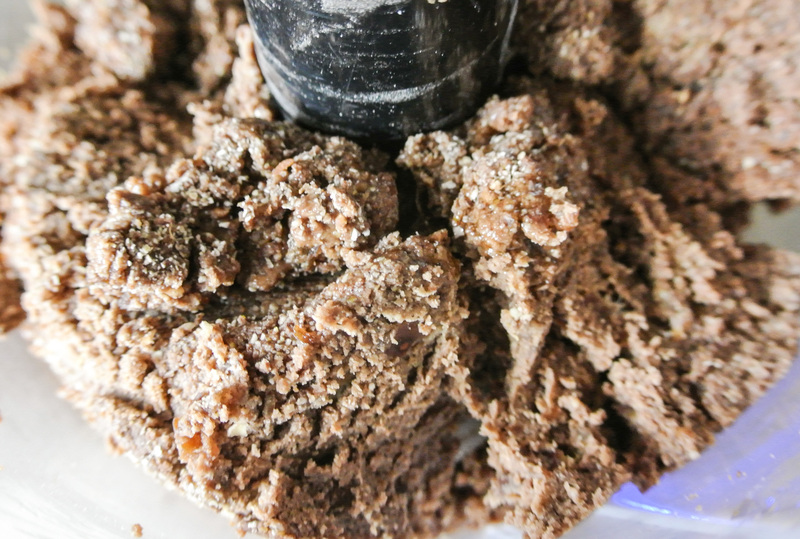 Save money and control quality by making power bars yourself. 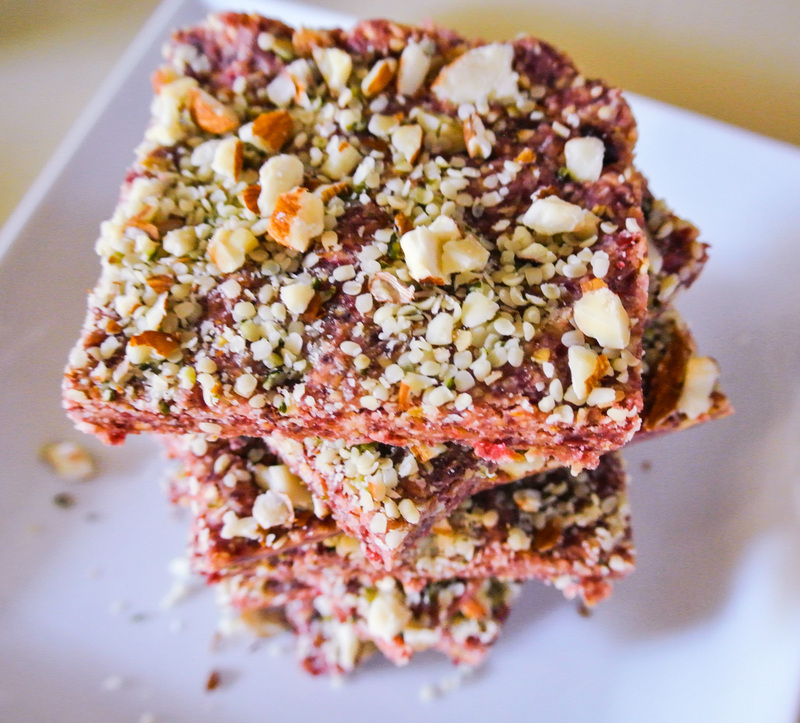 From gathering ingredients to cutting the bars (not including chill time), it took me less than twenty minutes to make these while attending to the needs of two boys under the age of three. You can do it! Enjoy. 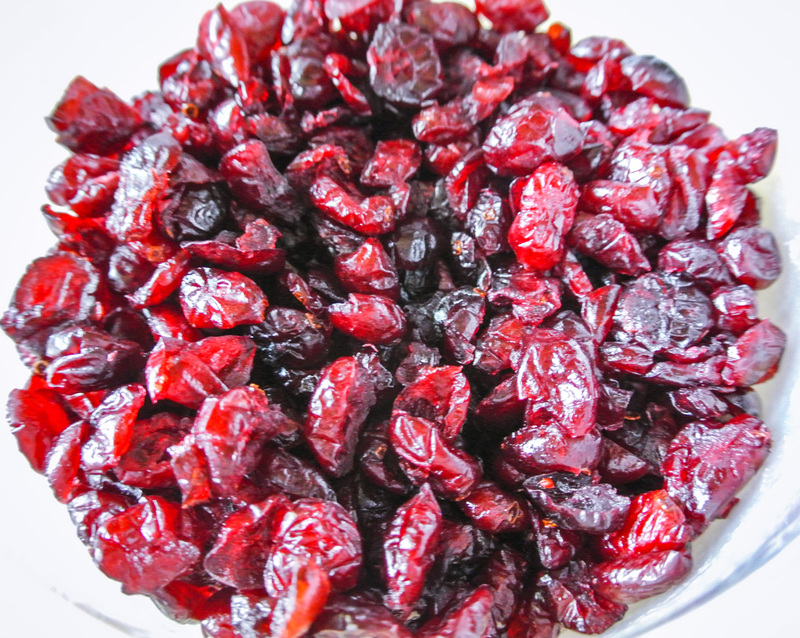 1 cup unsweetened dried fruit (without added oil) –> I’m using cranberries. ½ cup nut or seed butter (nuts/seeds only) –> I’m using peanut. 2 tbsps natural liquid sweetener –> I’m not using any. 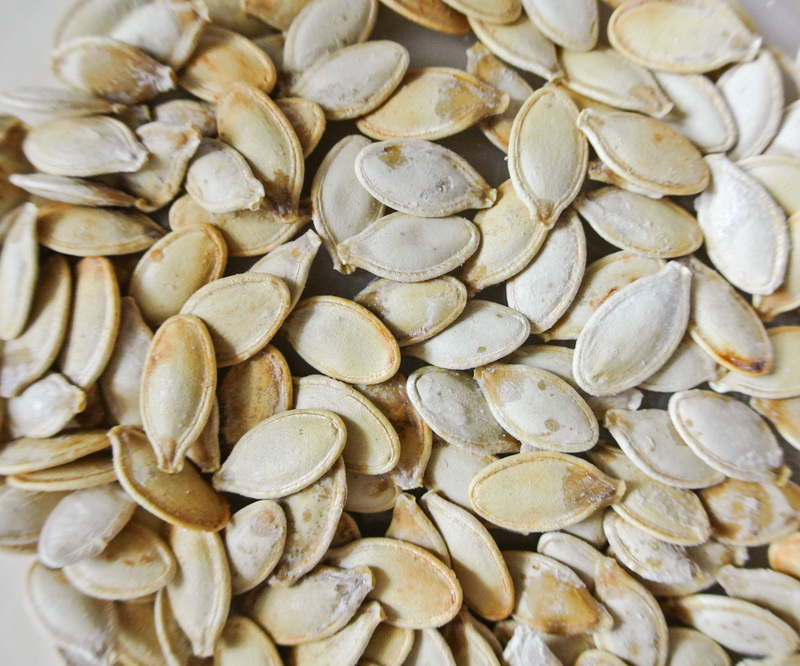 Raw seeds –> I’m using 1/8 cup roasted pumpkin (roasted only because Travis roasted them before I had this idea!) and 1/8 cup hulled hemp seeds. Raw finely chopped nuts –> I’m using ¼ cup almonds. Turn your whole grains (and in my case, the pumpkin seeds) into flour using your food processor or blender. 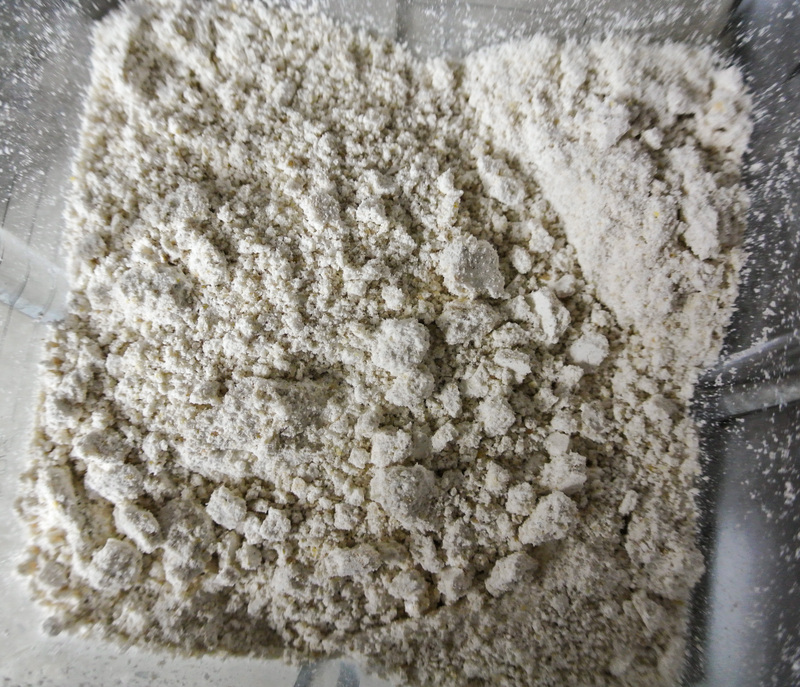 Then, combine the flour and your remaining ingredients, except the garnish. 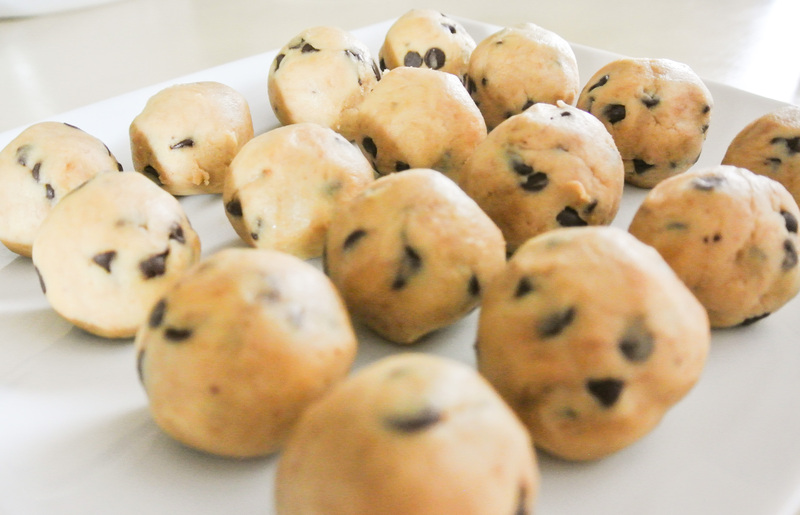 Run until a thick, pliable dough forms. You will probably have to scrape down the sides of the processor with a spatula at least once. 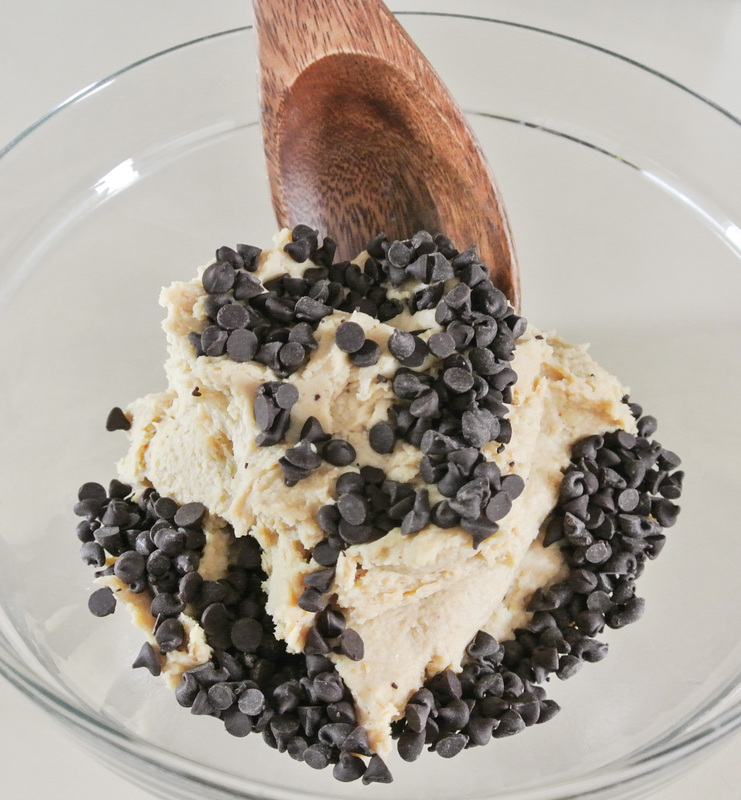 Turn the dough out into a mixing bowl. Use your hands to combine half of your garnish (unless it’s melted chocolate) and to break up any clumps of dried fruit and/or butter. Firmly press the dough into an 8 x 8 pan lined with wax paper. Evenly distribute the remaining garnish, pressing into/pouring onto the top of the bars. Chicken, tuna, egg, etc. + mayo = a salad sandwich. 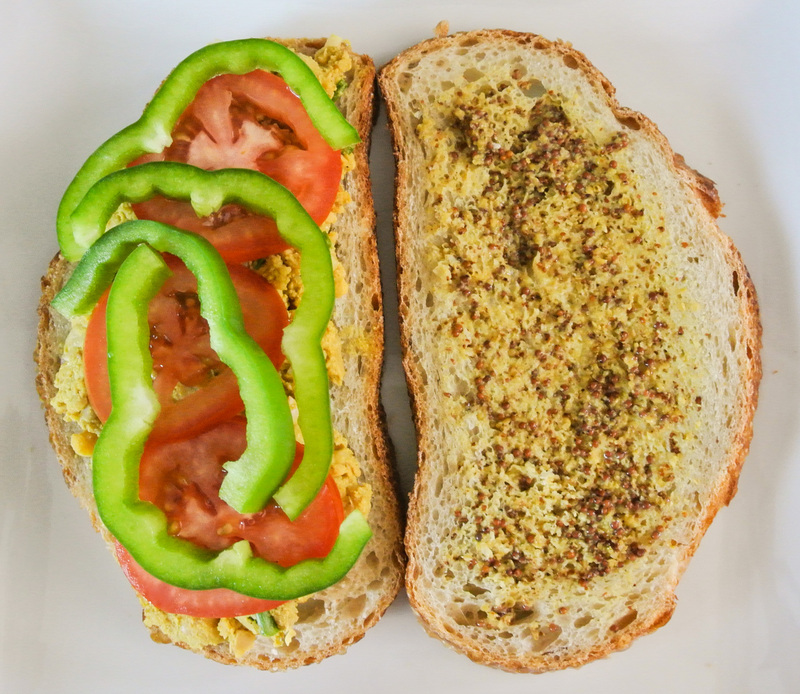 These popular combinations make for easy sandwich building, as the protein, produce, and condiments are prepared in one mixture. I have found that you either love or hate a salad sandwich, likely due to your feelings about mayo. Travis detests mayo, so he would only even consider one of these sandwiches if it were practically dry. I, personally, love the creamy consistency and convenience of a salad sandwich, pending it isn’t soupy or drippy (soggy bread: no no no). Since I no longer eat mayo and don’t like to buy processed, vegan mayo substitutes, I had to get creative. Having already experimented with making my own creamy dressing, pesto, and potato salad, I knew that I really just needed to come up with a suitable protein base. I have found that beans or lentils + raw fruits and vegetables work best for the ideal texture, but you could also use tofu. 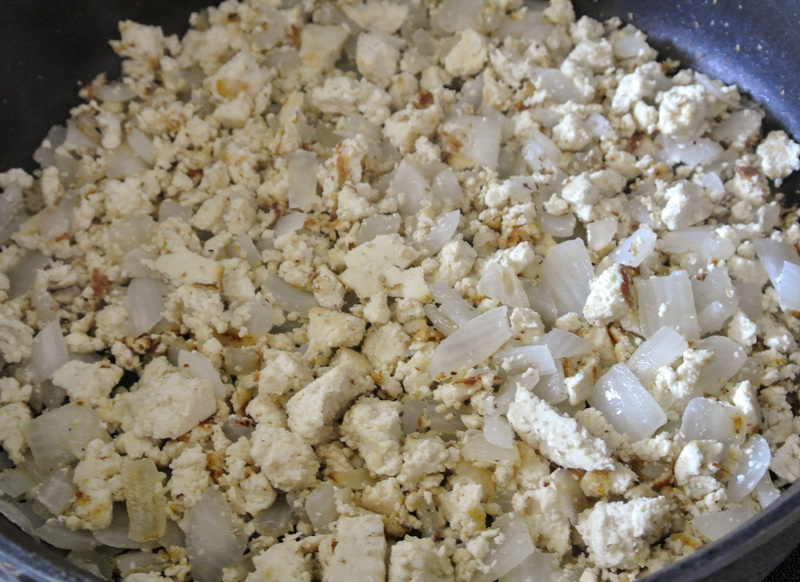 Since tofu has so much water in it, you would want to dehydrate it in the oven or on the stovetop first. This will result in a consistency similar to chicken, without the extra moisture to water down the creamy element of your filling. 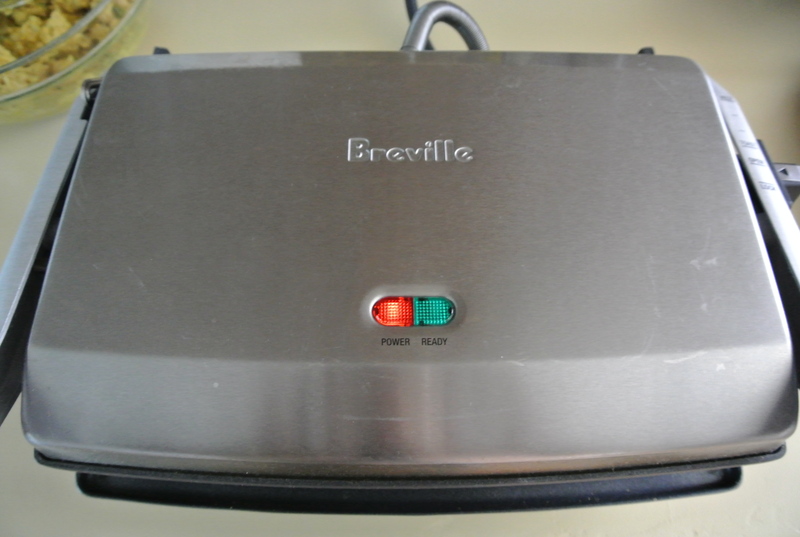 Today, I’ve featured one of my favorite small kitchen appliances: the panini press. Travis and I received this one as a wedding gift over four years ago and it’s still going strong. I love that the plates are nonstick, so coating bread with butter or oil isn’t necessary. 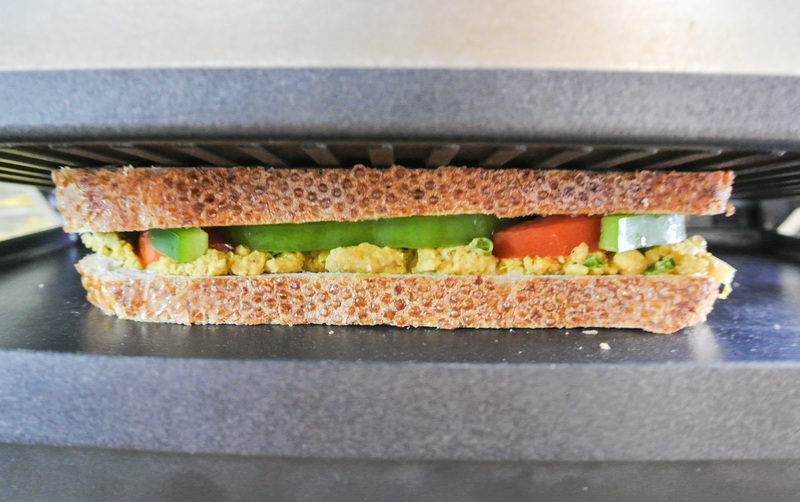 As I’m sure you’ve guessed, I’m making my curry salad sandwich (chickpea base) into a panini on sourdough bread, fresh from San Francisco. All in all, this formula is pretty simple and keeps well in the fridge for days. You could easily make a big batch to have on hand for sandwiches or wraps all week long and opt either to mix your produce right in or keep it separate (which is what I like to do). This way, you can change up the combinations from sandwich to sandwich to suit the taste preferences of different household members. Enjoy! 1 ½ cups cooked protein (beans or lentils, or chopped, dehydrated extra firm tofu) –> I’m using chickpeas. ¼ cup finely chopped onion –> I’m using green. 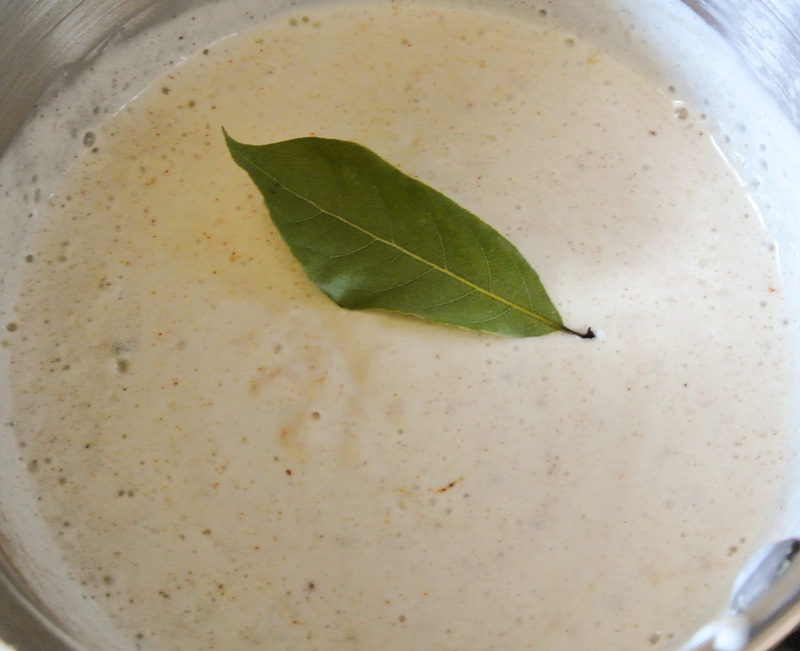 ¼ cup mayo substitute (seed/nut butter, vegan pesto, pureed avocado, etc.) 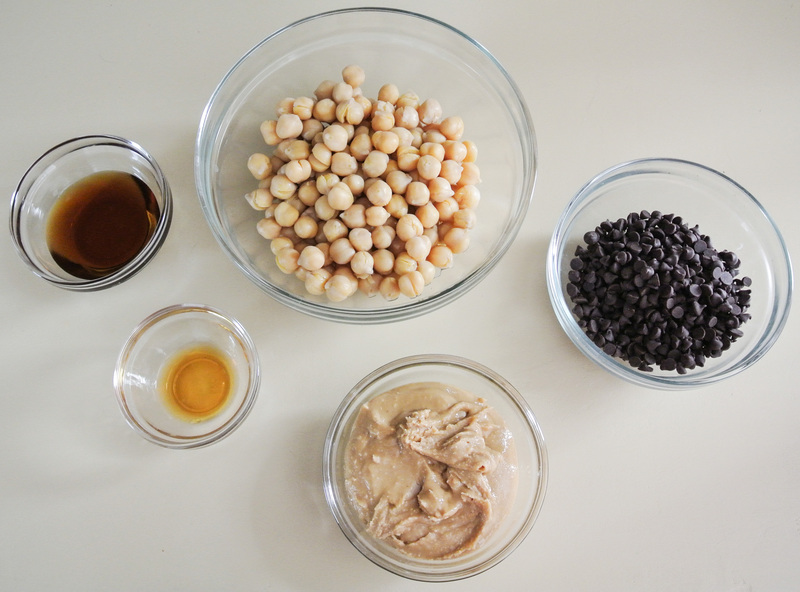 –> I’m using tahini + a few tablespoons of water. ¼ cup “crunch” (chopped raw nuts/seeds, unsweetened dried fruit, etc.) (optional) –> I’m not using any. Spices, fresh/dried herbs, salt, and pepper to taste (optional) –> I’m using 1 tsp each cumin and garam masala, ½ tsp turmeric, and a pinch of pink Himalayan sea salt. Additional raw fruits/vegetables to mix in or for garnishing –> I’m topping with my salad with a few thin slices of roma tomato and green pepper, and slathering my bread with whole grain mustard. Coarsely smash your beans/lentils, if using. 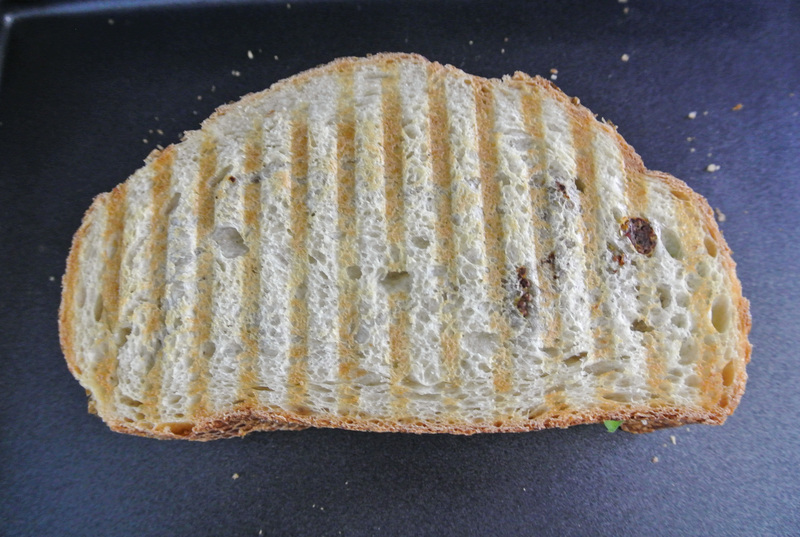 Assemble with additional produce on bread or in a wrap, if desired. Of all of the vegan dishes that I make, of this one, I am exceptionally proud. For me, it ticks so many boxes, from nutritional value to great leftovers to toddler likability. It isn’t easy to reinvent classic comfort foods—many of which are comforting as a result of fat, sugar, or salt—but I’ve managed to do it with my take on the classic, Chicken Divan. CD is a chicken and broccoli casserole with a creamy sauce. As much as it is delicious, it is loaded with fat and cholesterol, two no-no’s in my world. My recipes are certainly not all fat free (you will see there is a little bit in today’s concoction), but most are low in fat and definitely don’t contain cholesterol, which only exists in animal products. A positive of the original CD is the protein found in chicken. Thankfully, protein can be found in tons of plants, and often, in much greater quantities per serving. Today, CD becomes TD: Tofu Divan. 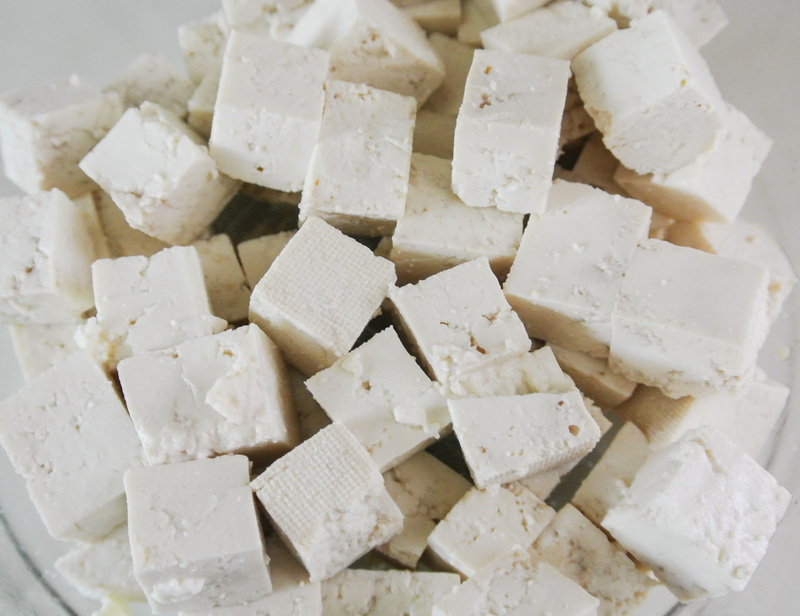 Yea, tofu (and all soybean products) should be consumed sparingly, according to some research. But then, I visit Japan, with its ultra-healthy, lean population, and see tofu everywhere. So, who knows! Tofu is an EXCELLENT source of protein that is low in fat, free of cholesterol, and adaptable into both savory and sweet applications. (Check out my togurt and chocolate mousse formulas for more tofu ideas!) I eat tofu in some capacity once or twice a month…nothing to worry about. Side note: My TD utilizes a block of silken (or soft) and half a block extra firm. What am I going to do with the other half? Since Nolan was just beyond pureed baby food, I’ve been cutting it into cubes, and tossing it with just a splash of amino acids or soy sauce and a little bit of agave syrup. 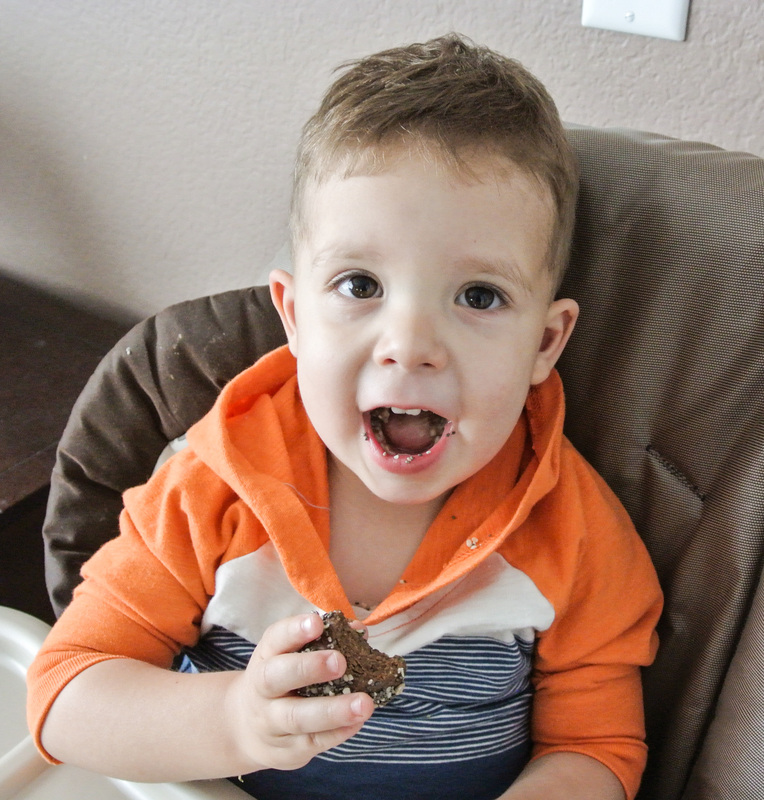 He’s been popping the cubes for over a year and a half now and couldn’t be happier with this easy and baby-friendly snack. He even learned how to use a fork with these tofu cubes. Ok, back to the TD. 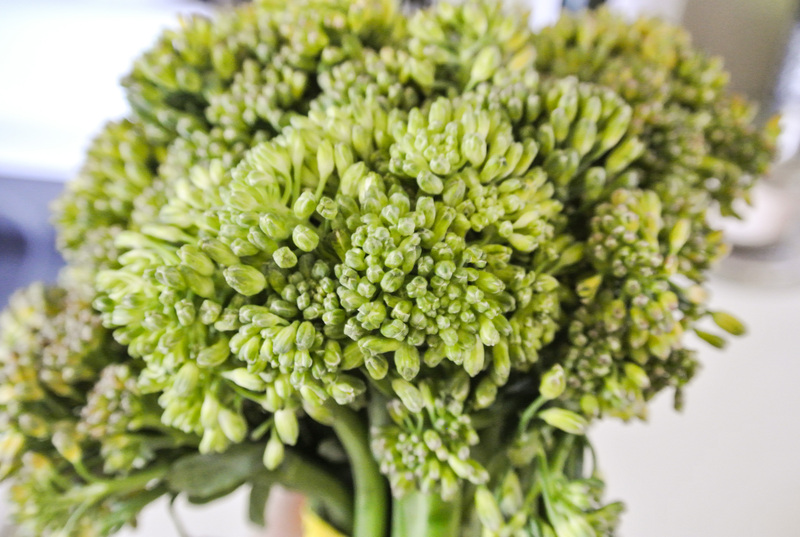 I’m using broccolini, or baby broccoli, but you could really use any vegetable you’d like. You can also use any grains you’d like. This is a Fresh Formula, after all. 🙂 Tradition CD doesn’t contain grains, but if I’m going to make a cooked dish, I like to include them, since the bulk of what I eat is typically raw. My grain of choice today is primarily wheat berries, with a little bit of quinoa I had left over from making Nolan his favorite breakfast: my quinoa muffins. 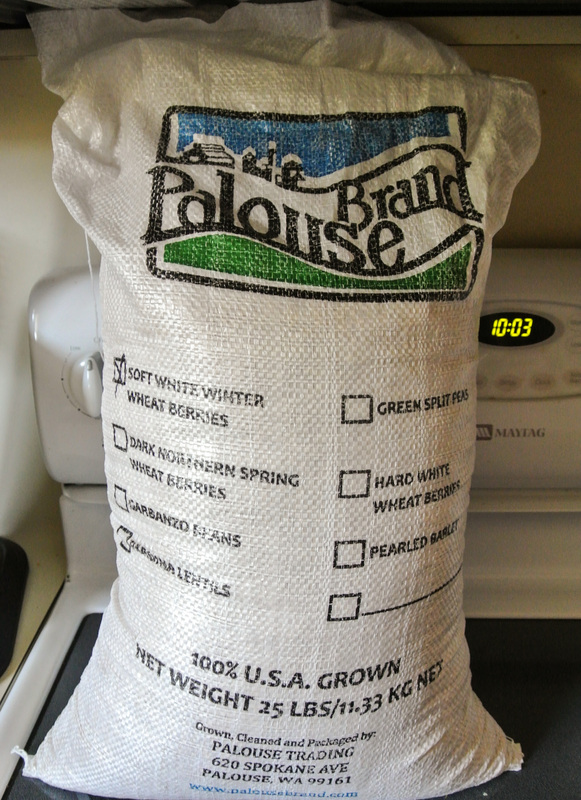 When Travis and I selected our Bountiful Basket offerings last week, we added twenty-five pounds of wheat berries. They aren’t as easy to find as other grains and I love the crunch that they maintain, even after cooked. Now, I just need to find some ways to use them, which is one of my goals today! 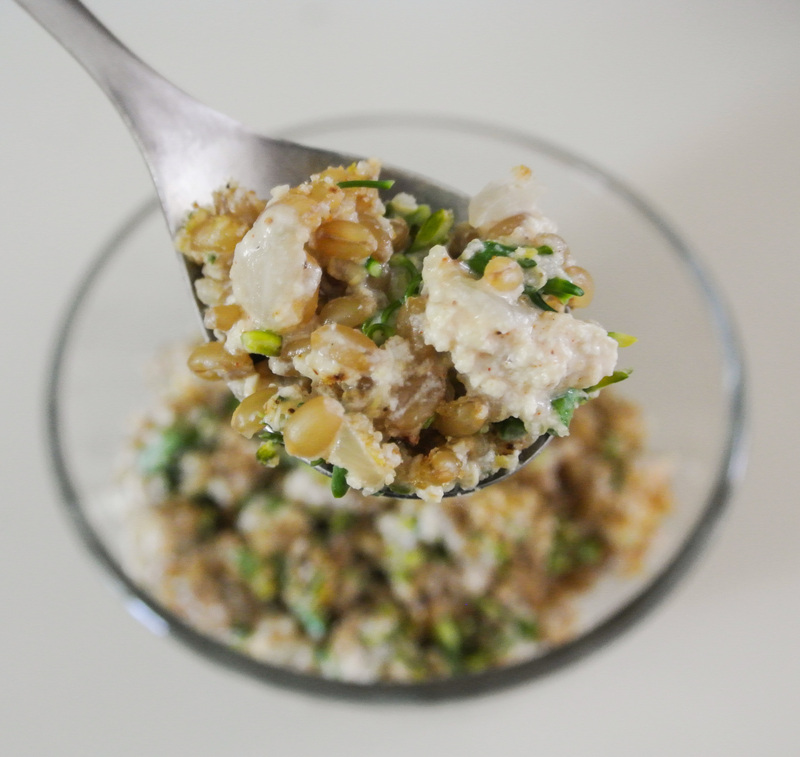 I first introduced you to wheat berries in my multi-grain salad formula, another one of my go-to favorites. The nutrients derived from the produce, grains, and tofu in my TD are unmatched by its animal-based cousin, CD. This dish is delicious right out of the oven and also makes for satisfying leftovers. Mostly importantly, my two-year-old loves it. Still not keen on many veggies as is (although he’ll eat them all day in smoothies), TD is a great way for me to “hide” finely chopped vegetables that he eats without question. Finally, you’ll see that the casserole is topped with breadcrumbs. Typically, I’d use some of my own freshly baked bread, but with none on hand at the moment, I’m getting creative and using rice cakes! I love this brand. They make for a great snack as is, or smothered in peanut butter and jam. Yum-o! Bear in mind that making tofu divan takes about ninety minutes, start to finish, depending on what type of grains you use. 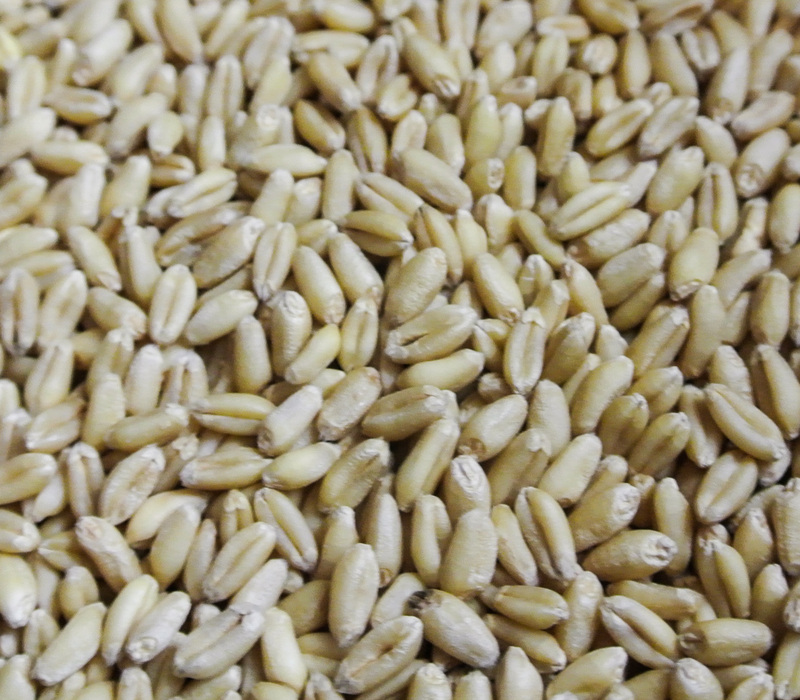 While brown rice can cook in about thirty minutes, wheat berries need an hour. Just FYI if you’re in a hurry. 🙂 Enjoy! 3 cups uncooked grains –> I’m using 2 cups wheat berries and 1 cup white quinoa. 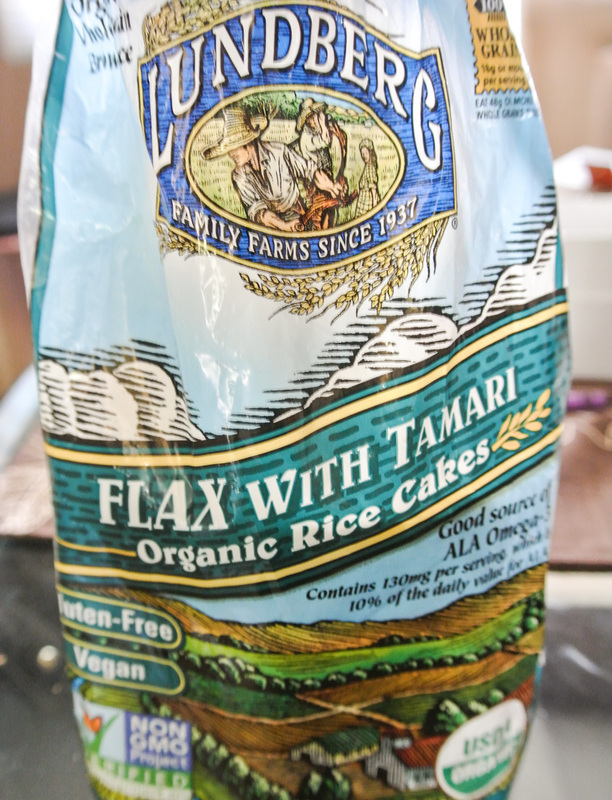 1 cup breadcrumbs –> I’m using two tamari and flax seed rice cakes. ½ cup liquid to blend with silken tofu (more veggie stock, water, plant milk, etc.) –> I’m using unsweetened, unflavored almond milk. 1 tbsp oil –> I’m using olive. Salt and pepper to taste –> I’m using pink Himalayan sea salt and fresh ground black pepper in both the sauce and in the sauté pan. Thoroughly rinse your grains before cooking. Add to a rice cooker or stovetop pot with veggie stock. If you’re using a variety of different grains, stagger their addition to the cooker/pot based on cook times. Wheat berries, for instance, need much longer to cook than quinoa. While the grains are cooking, put the silken tofu in a blender with your liquid of choice and puree until smooth. Put in a small sauce pan on medium low heat with all spices, the bay leaf, and salt and pepper to taste. Leave the sauce to simmer, stirring occasionally. If it gets too thick (should be thicker than milk, but thinner than a milkshake), thin out with water, plant milk, or veggie stock. Heat up a sauté pan on medium high heat with ½ tbsp of the oil. Dice your onion, mince your garlic, crumble your extra firm tofu, and sauté until the onions are almost translucent and the tofu is slightly browned. If you have a starchy vegetable, such as carrots, throw them into the sauté pan, too. Otherwise, finely chopping and adding to the casserole mix before it goes into the often should suffice. Finally, pulse your bread, crackers, etc. 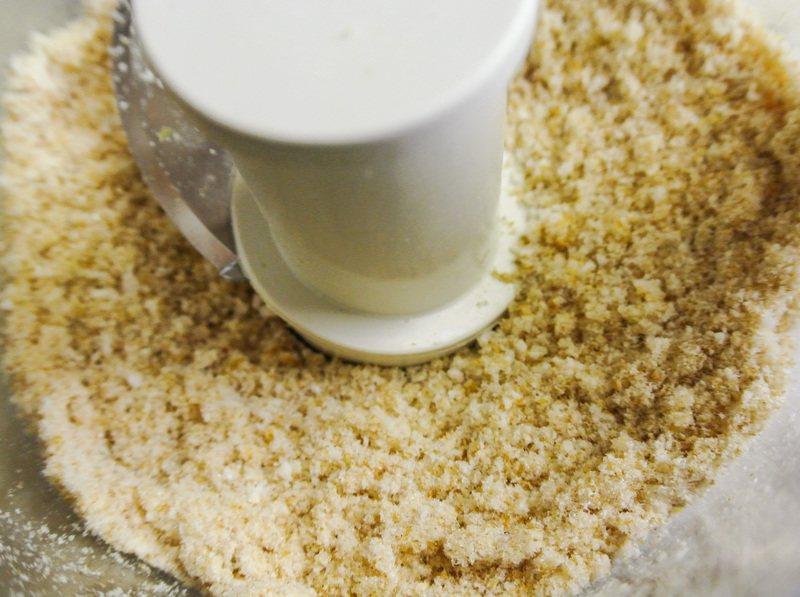 in a food processor to make breadcrumbs. The grains should have absorbed all of the liquid by the time they are cooked, but drain them if they haven’t. 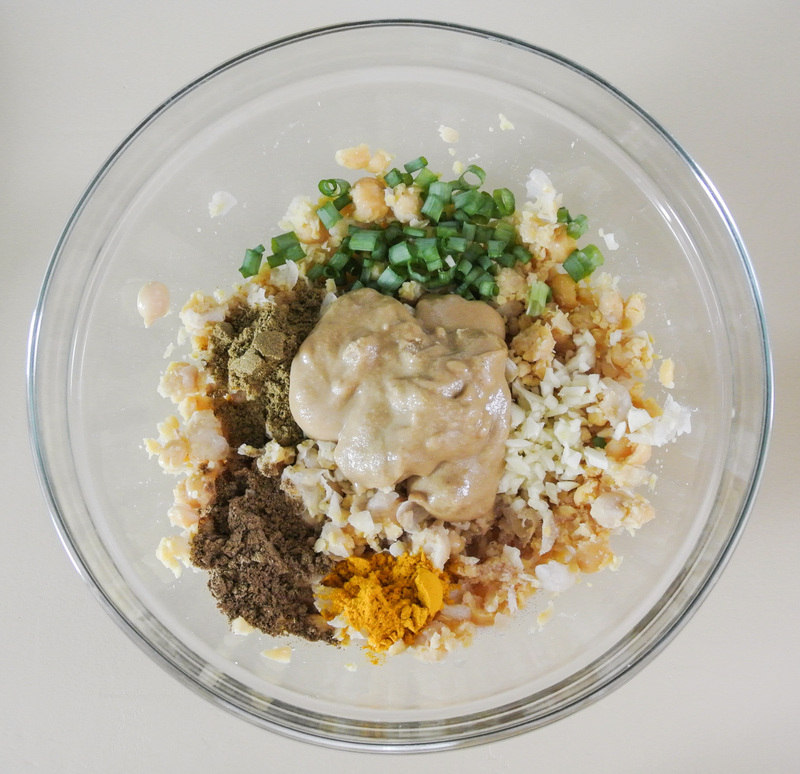 In a large mixing bowl, combine grains, onion, garlic, tofu, vegetables, and silken tofu sauce, sans bay leaf. I am strategic about how I do this. The veggies go on the bottom if they have not been precooked, topped next by the hot grains, which will par-cook the vegetables for me, finishing them off in the oven. 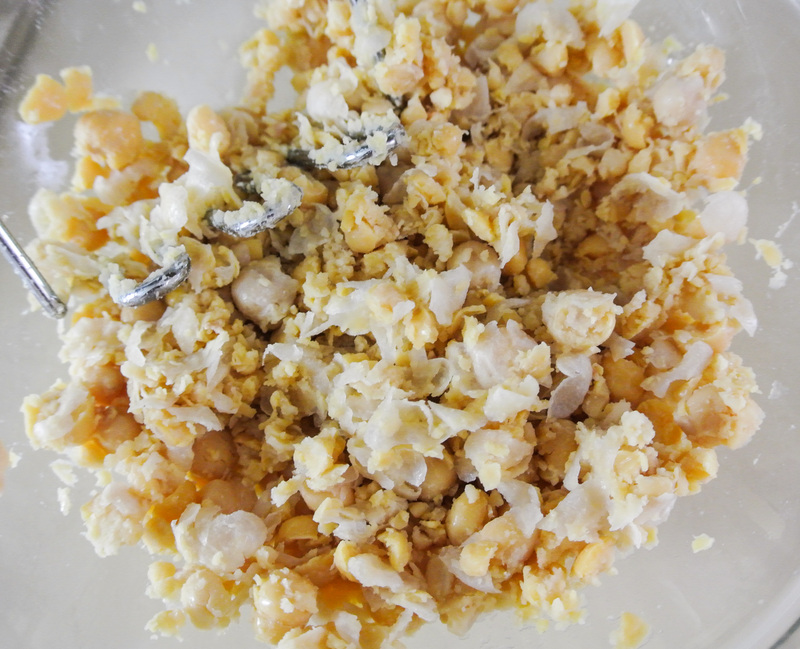 Mix your breadcrumbs with nutritional yeast and the other ½ tbsp oil. 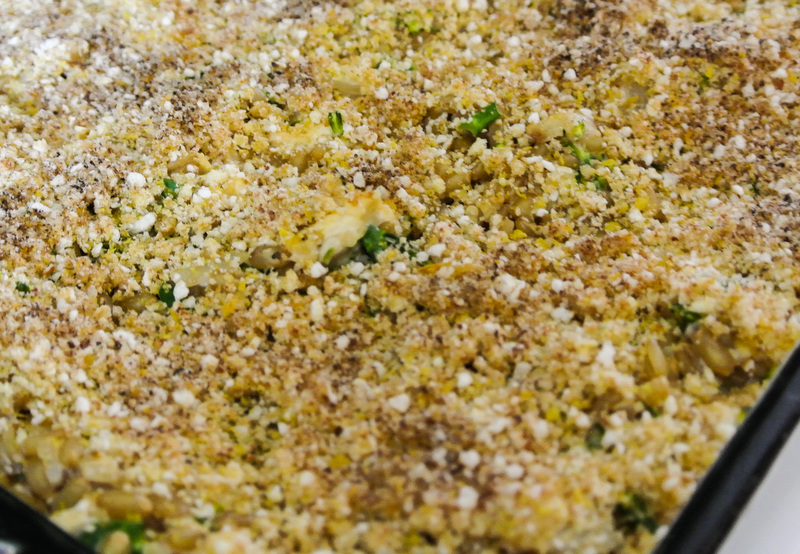 Once the other ingredients are combined and spread in a 9 X 13 baking dish, top with breadcrumbs. Put under the broiler on low for 4-5 minutes, or until the breadcrumbs are golden brown.